At J S Dobbs & Co Ltd, we carry a wide range of dementia and alzheimer’s healthcare solutions for patients and their carers. These cover every aspect of life, from household essentials in the bedroom, bathroom, kitchen and living room. This section features a selection of dementia essentials for the kitchen. Just click on the link below each icon for further information on that product. A Dining Aid Set consisting of a bendable spoon and bendable fork and a rocker knife, together with a utensil strap. 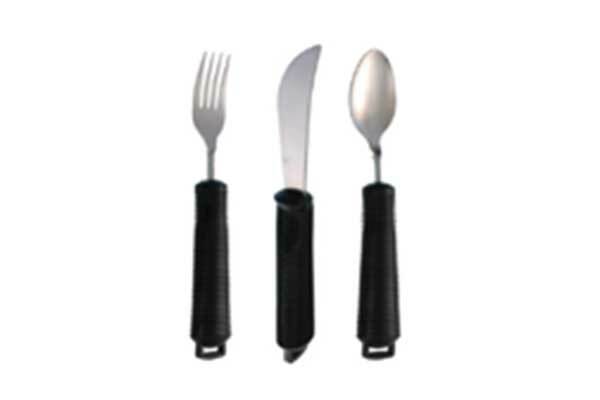 The bendable spook and fork and rocker knife all have a fixed loop at the end of the wide, soft cushion handle, through which the utensil strap can be passed to secure the dining aid utensil to the user’s hand. Dishwasher safe up to 70 degrees. Ideal for people with a limited grip. 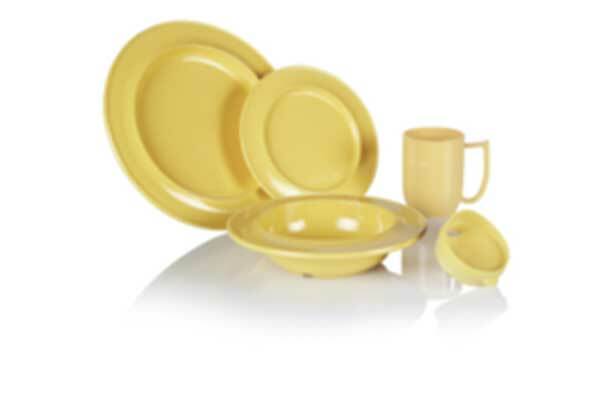 This range of crockery designed for all care settings where cognition, vision and dexterity are common problems. One Button Analogue Radio is the ideal solution for people with memory problems or dementia, those with poor coordination, dexterity problems, or partially sighted people who find operating standard radios difficult or confusing.